Home » Website Building » Weebly » How to Add Vertical Tabs Widget in Weebly Site? How to Add Vertical Tabs Widget in Weebly Site? We discussed how to add horizontal tabs in previous article and in this article we will discuss how to add vertical tabs widget in Weebly site. Similar to horizontal tabs, vertical tabs are also used to add large amount of content within the limited space. The widget is made only with CSS and easy to add on your Weebly site. Basically the widget contains three parts – full container, vertical navigation labels and the tab content. Unordered list is used for navigation with list-style as none and nth-child attribute is used to define five tabs in the vertical menu. You can modify the CSS and add more or less number of tabs as you need. Radio input type is used to hide all inactive tab content and highlight the active tab content. Navigation section is defined 24% and the tab content is defined as 75% which you can change. You can also change the background colors and the hovering color as you need. Below is the complete CSS for the vertical tabs widget which is to be added under “Header Code” section of your Weebly site. The complete HTML content is covered within a div tag with a “tab-content” class and the content for each five tabs are covered under individual div using “div” class. Replace the content with your own and paste it inside the “Embed Code” element on your Weebly site. 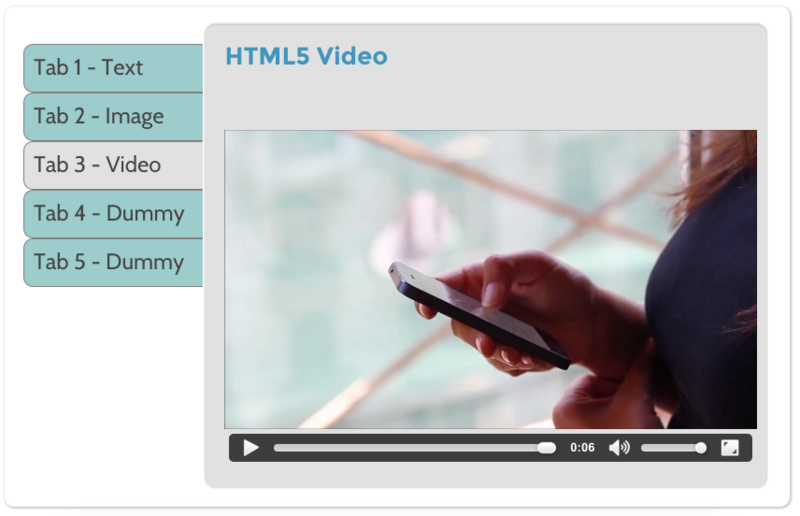 You can add any type of HTML tags inside each tab content like text, image, video, etc. but ensure to control the width and height of the elements to adjust the display within tab’s content area. I have entered the CSS at the Header and the HTML on my page but I do not get it into tab form. Any suggestions to make it work? The page is found in awcto.com under Resources. Did you add the CSS style codes? It is not visible on your page so it looks like a plain text. Check you have added CSS either inside embed code with style tags or in the main stylesheet without style tags.